أعطى بنك مياب شكلًا ملموسًا لروح التضامن والوطنية اللبنانية وأصبح مثالًا يحتذي به الكل عندما باشر بمبادرته لدعم بلده. فكي لا يبقى شعار "البلد بلدك" مجرّد حبر على ورق، إن بنك مياب ملتزم بدعمه المتواصل للمؤسسة العسكرية ليكون شرارة أمل تشعل النار الخامدة في نفوس الآخرين، فتدفعهم إلى الحراك والاستثمار لنبني معًا لبنان أفضل. 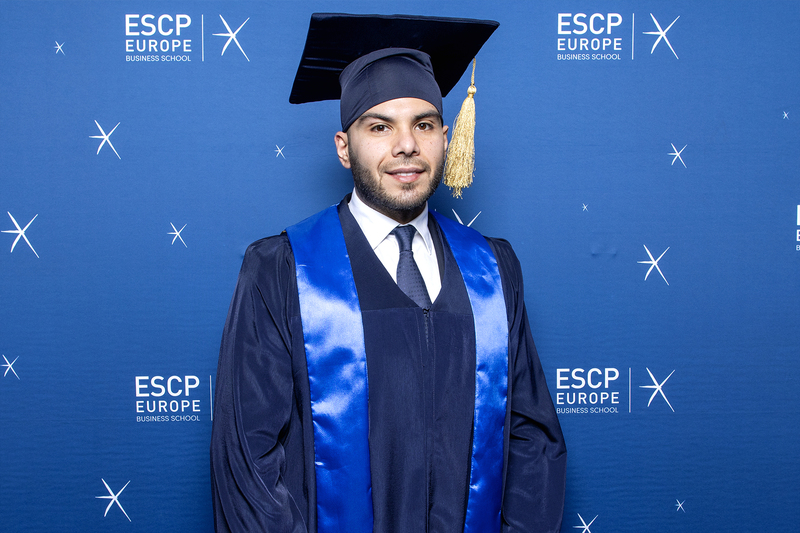 Through his commitment to excellence and professional development, it is with great pride that we announce that Mr. Ali Hejeij, Chairman of MEAB bank, has received his MBA from ESCP Europe in Paris. The EMBA20 graduation ceremony took place in Paris on March 21st,2019 in the presence of Dean of ESCP Europe Mr.
MEAB bank was founded in 1991 as a commercial bank, exponentially expanding through Lebanon with 20 branches, and two branches in Iraq to cater and satisfy a multitude of client needs. MEAB has signed a one-year Memorandum of Understanding (MoU) with Phoenicia University in Lebanon by which the University will provide MEAB with a customized soft skills training program. This is a marketing communication issued by MEAB sal. MEAB sal announced that it will be changing the swift codes of its Lebanese and Iraqi branches to the following new codes. MEAB sponsored the Annual Congresses of the Order of Pharmacists of Lebanon and the Lebanese Association of Certified Public Accountants (LACPA). MEAB is the proud sponsor of Al Jazeera Sporting Club’s swim team. This year, the team participated in the Summer Competition organized by the Lebanese Swimming Federation in the Bekaa valley and returned covered in gold! This year, MEAB is celebrating Lebanese Army Day with a special slogan and campaign to showcase the support of the Lebanese for their Armed Forces. The slogan – “We all give you the green light” – will be showcased in a number of activations in the branches and on social media through a photo competition.